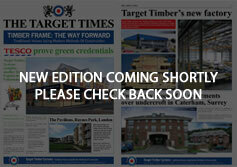 Welcome to Target Timber’s new website. Target Timber Systems Ltd are a designer and manufacturer of timber frame housing and commercial buildings. Target Timber work closely with architects to produce bespoke timber frame kits to both self-builders and developers.